Casio has been working over time on developing this great product line, the G-Shock Watches. They wanted to create a watch that customers could love having on their wrist and that wouldn't break even in the event of a hard fall. They wanted it rated high in "all-around-toughness", packed with innovations and technologies second to none. Well, they're here, and we've got 'em! The watches are made with a breakthrough technology, using a hollow structure, in which the module is "floated" to protect it from shocks. It's all-directions enclosure of urethane bezel prevents direct shocks from striking the glass and buttons. It's even packed with a cushioning material that provides even more protection for key parts inside the watch. 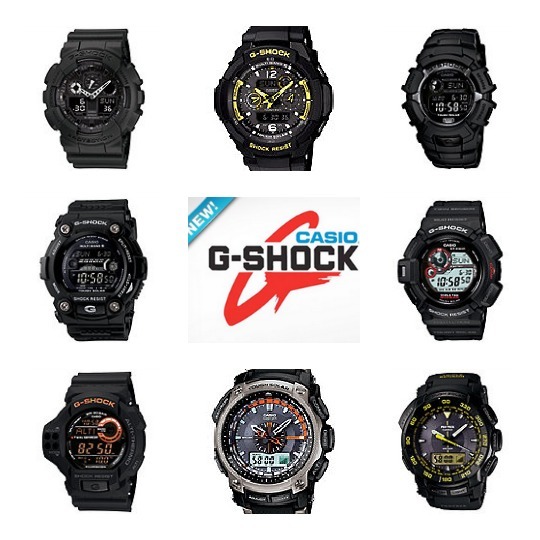 These and other shock-resistant technologies, exclusive to G-shock, are spread throughout the body of this watch interior to make toughness it's highest level. The watches have amazing technical specifications, from solar power, mud resistance, digital compasses, are water resistant, have a thermometer, alarms, moon data, and the list goes on and on. You have a lot of great options to choose from, with different styles that offer various functions and specs. 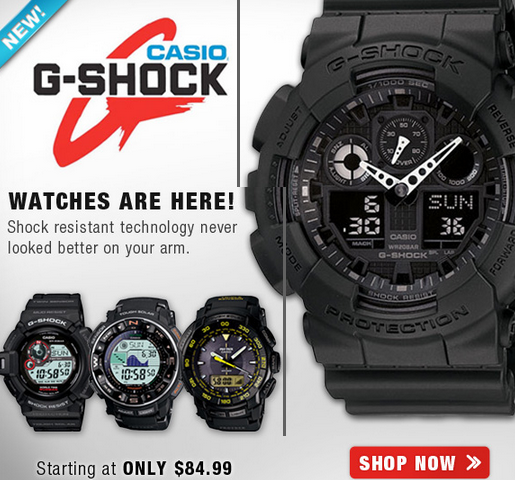 To see the full selection on G-Shock watches, click here. Our commitment is to provide our customers the best shopping experience possible with our personalized customer service at a safe and secure environment.